I'm not sure what went on the last few days at the cottage... was it that we watched a movie on a laptop one chilly evening instead of playing cribbage, perhaps? 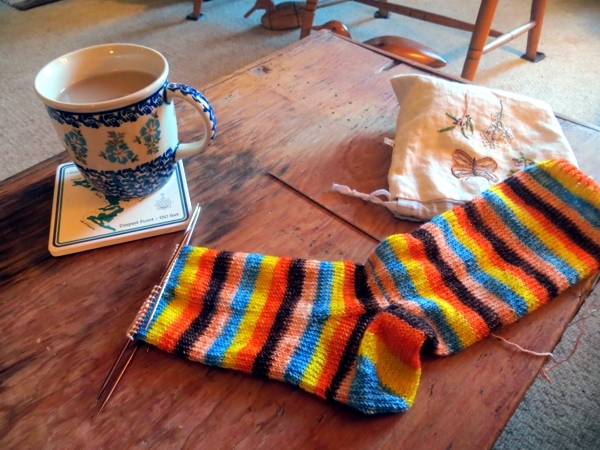 All I know is, I seem to have more of a sock. Yep, that's a toe decrease. Whole sock nearly done! And its mate is... all the way done. Except for the grafting, which I don't really count at the cottage. 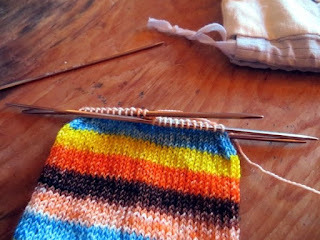 I don't have a darning needle up here to do it with. 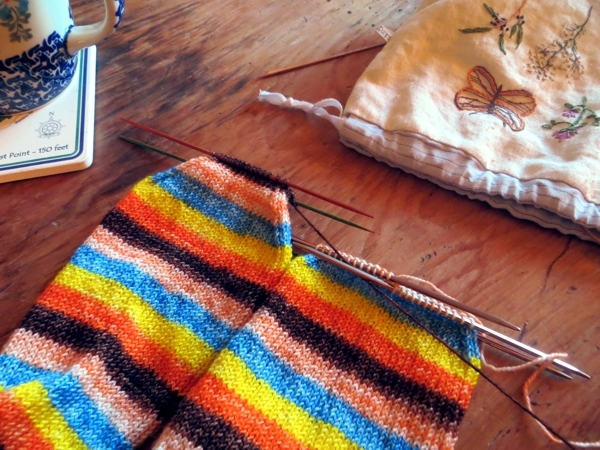 Note to self: bring a knitting kit to the cottage next year, to leave on site. 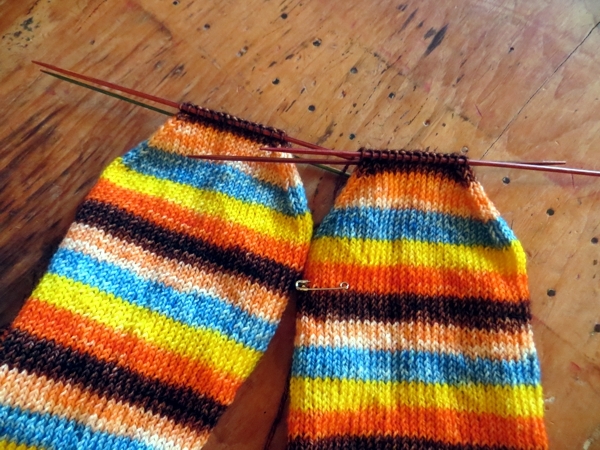 So the question is, do I finish the toe before I do anything else? You would think Yes, but there's another attractive option. 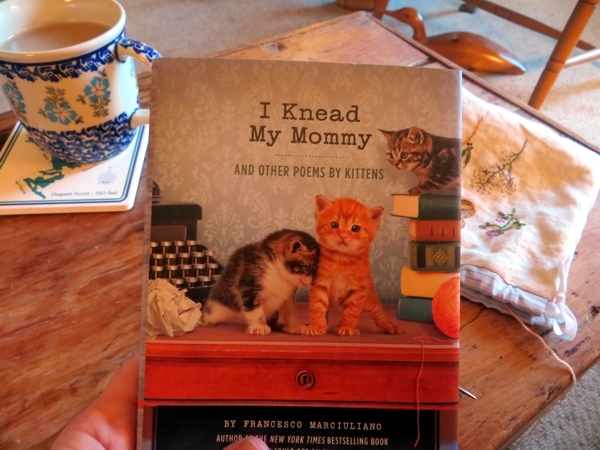 I could curl up to read more verse from 'I Knead My Mommy, and other poems by kittens'. But really, I should do the toe first. And now I think I've earned a nice relaxing weekend. Hope you get one too - see you Monday!